PINK ICE CZ RING - Exclusive! 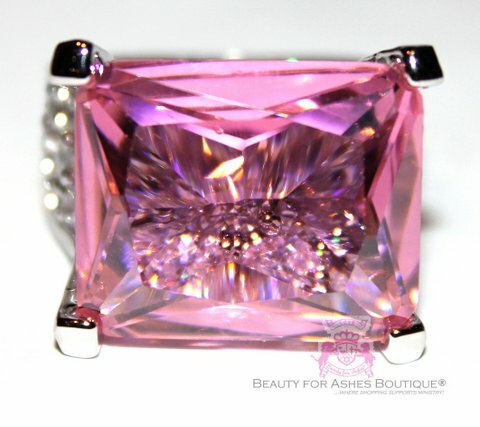 Beauty for Ashes Boutique Jewelry presents this is a SPECTACULAR PINK ICE CZ Ring! Super Sparkly and such remarkable quality. The main stone size is 1/2" x 3/4", and has an emerald-cut pink CZ. The band is packed full of pave cz's in clear in the front, which are noticeable when looking through the pink cz! Extra Thick 5 mil. White Gold Rhodium Plating! Make an excellent gift, great for all occasions! Size 7, 8 are in stock.